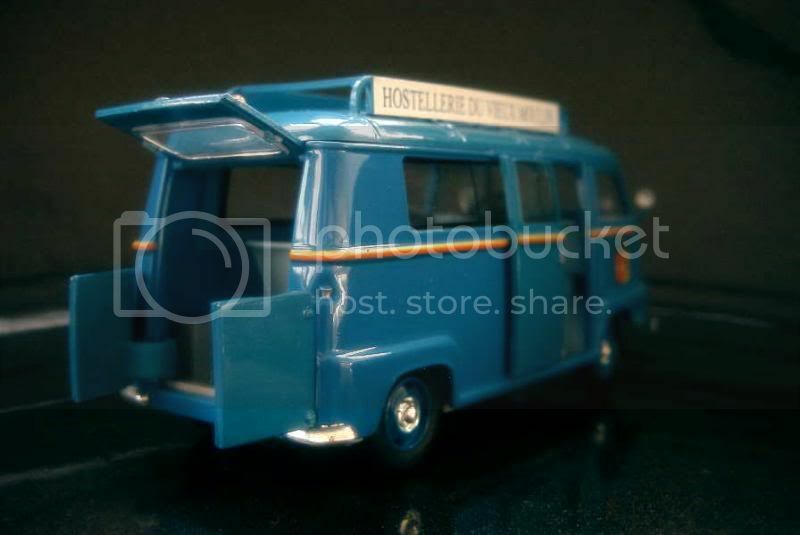 Citroën gained a large share of the French commercial vehicles market thanks to its Type H. Renault answered with the Goëlette, and in May 1959 introduced a smaller van to which its archrival had no competitor: the Estafette. 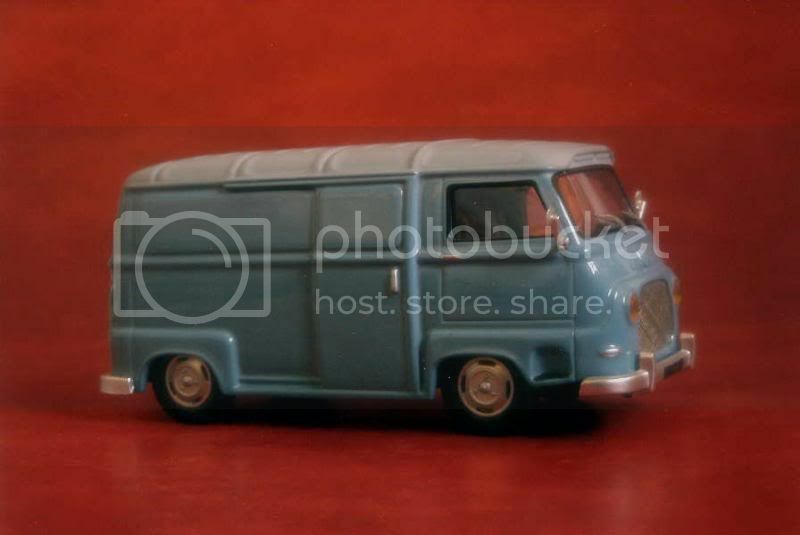 Initially, the Estafette was powered by the small 850 cc engine provided by the Dauphine, though on the van it would be front-mounted and would drive the front wheels, in complete opposition to the road car – actually, the Estafette would be the first front-wheel-drive vehicle ever produced by the Régie Nationale. With only 32 hp, Renault cautiously rated its van’s payload at 600 kg. Over the years, evolution would bring to heavier payloads, thanks to larger engines. 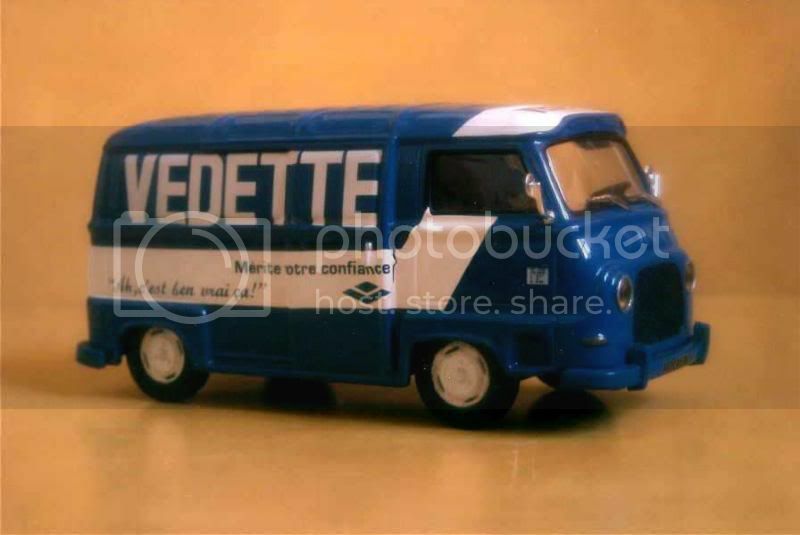 In January 1962, the Estafette received the new 1.1-litre four “Major” introduced by the Renault 8, allowing an 800 kg payload then, in April 1968, a 1.3-litre good for 54 bhp, with which the Estafette could carry up to a metric ton of cargo. Under this final form, the Estafette would remain in production until June 1980, when it was replaced by the much larger Trafic. Though Renault toyed with the idea of a diesel-powered Estafette during the Sixties, such a vehicle remained experimental. 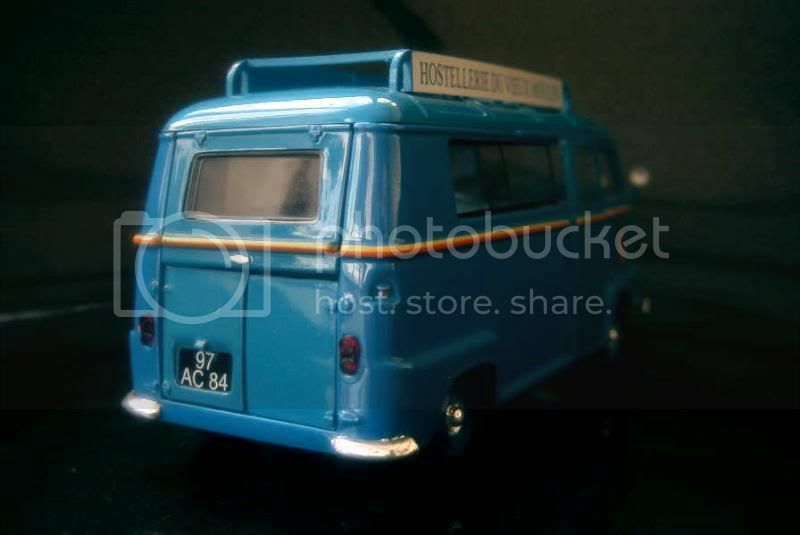 Obviously, the Estafette knew a large variety of models in order to fit all needs. 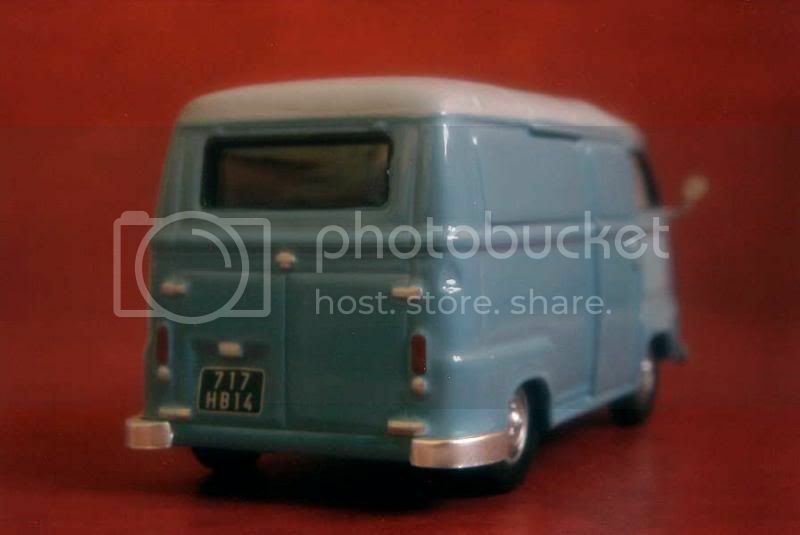 The basic models offered by the factory were the standard van, the Alouette minibus, and the pickup. 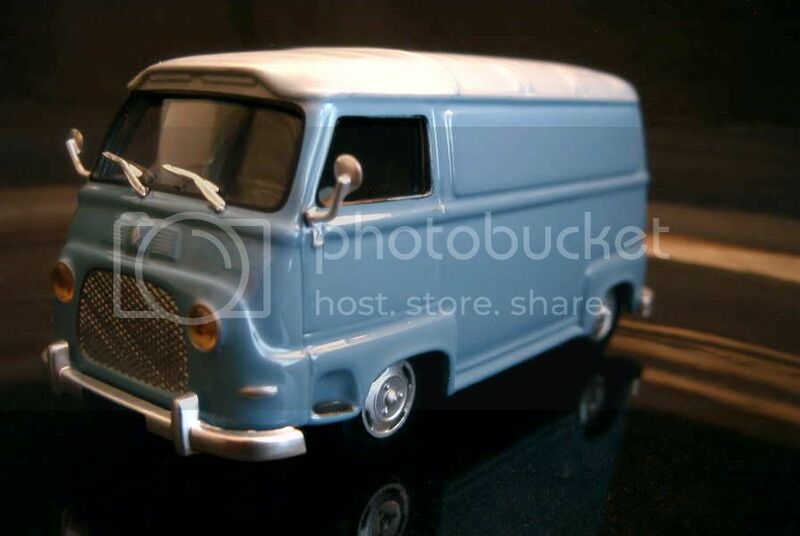 Bare chassis were available for custom-built bodies, as were long wheelbase chassis and high-roof vans. 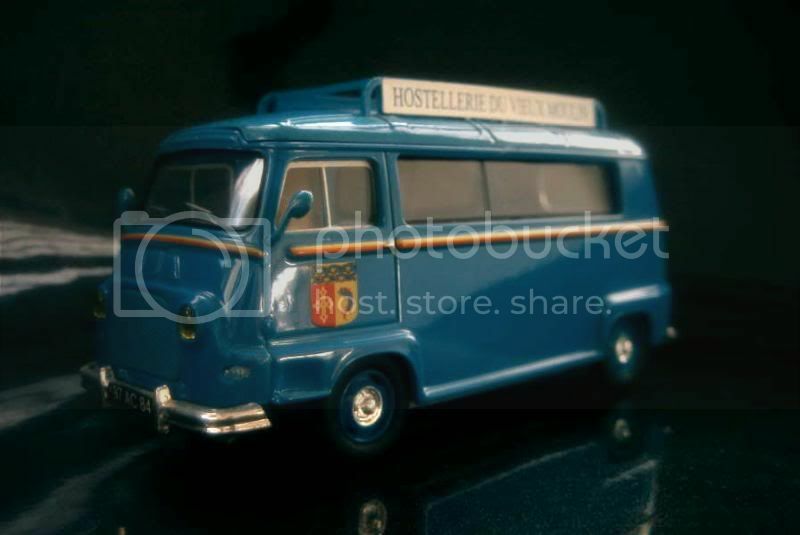 Artisans, shopkeepers and campers soon made it one of their favourite vehicles, and it also became the standard transportation for the French Gendarmerie, guaranteeing it wide sales throughout its long career. Sold by Eligor as an Estafette, this long wheelbase Renault should, as far as I understand, be normally called an Alouette. 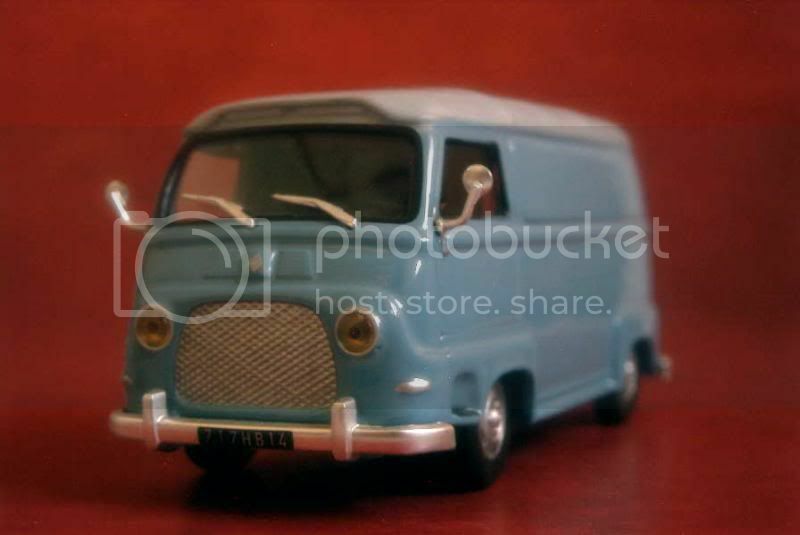 A simple but nice die-cast mimicked from an equivalent Norev model, it deserves a 12/20. Few separate parts on this die-cast, even the rear lights being simply painted: in plain guise, the Ixo version of the Estafette cannot hide its lack of refinement and accuracy when compared to its competitors – Eligor and Norev versions are definitely superior. 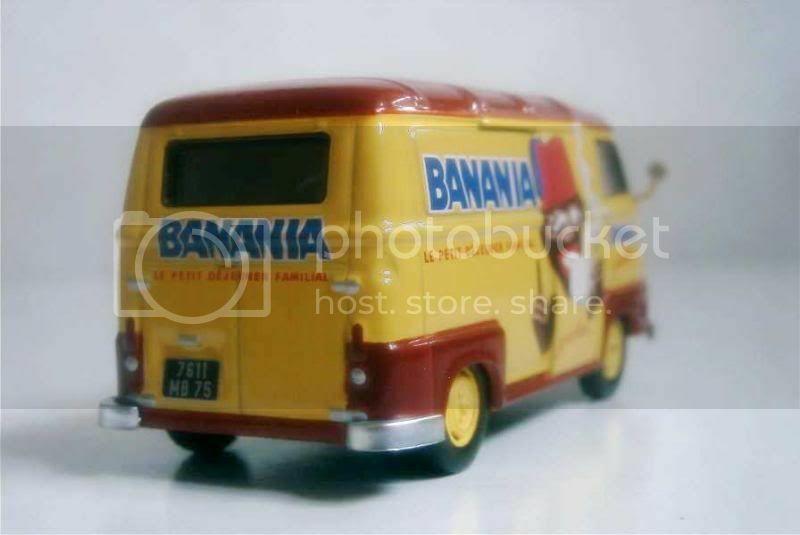 This standard Estafette shouldn’t get more than 8/20. A colourful decoration somehow helps the poor Ixo mould of the Estafette. 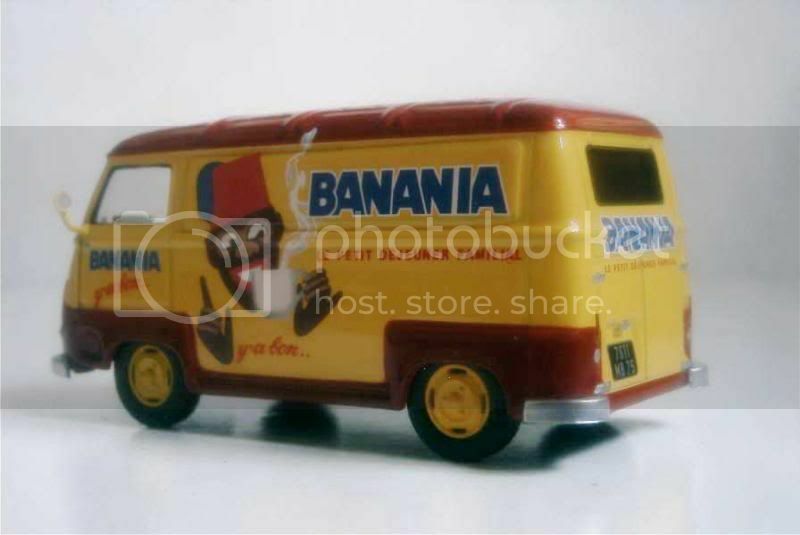 This one is for Banania, a French powdered cocoa company which mascot was for decades a tirailleur sénégalais (“Senegalese fusilier”) nicknamed “L’Ami Y’a Bon”. My rating is 10/20. Acquired: new with neither box nor stand (probably a production overrun or quality control reject), in December 2006, in Hong Kong, S.A.R. 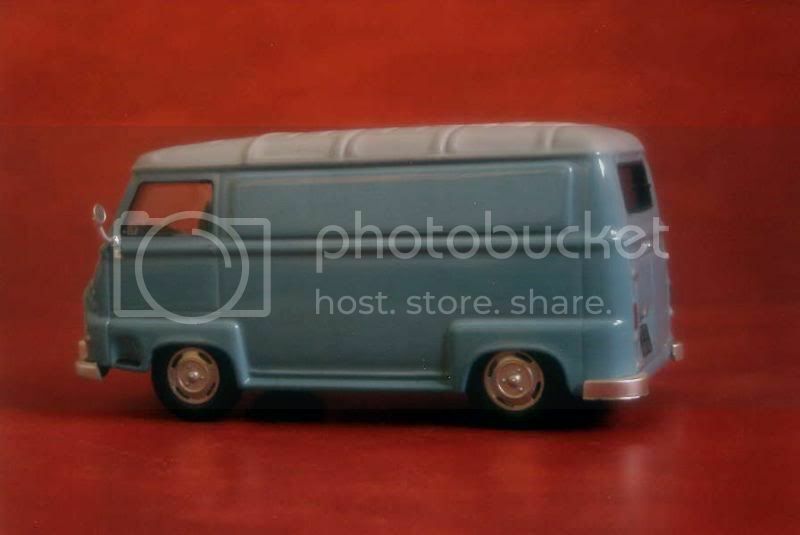 This decoration befits the Estafette even better, concealing most of the flaws of the model. 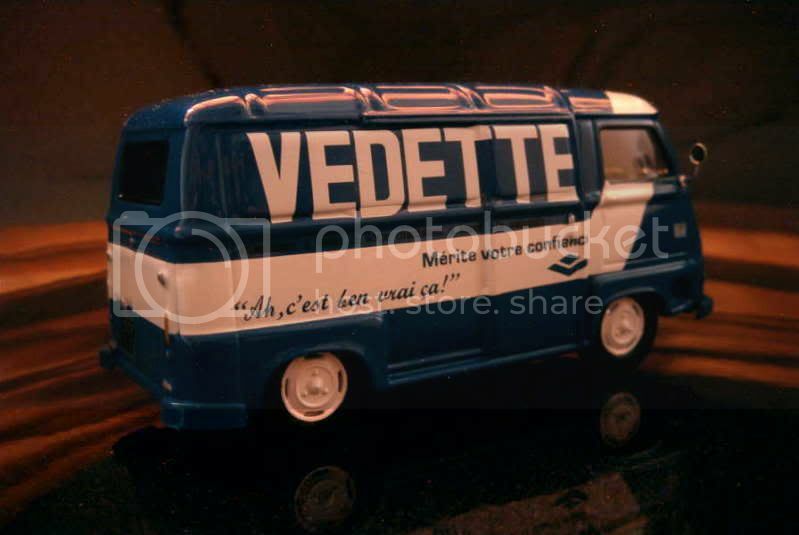 For information, Vedette is a French company manufacturing large kitchen appliances. 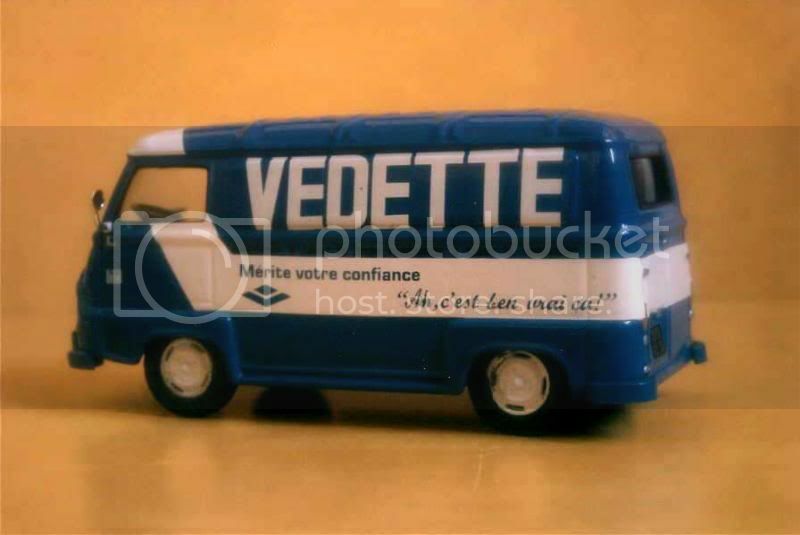 Translation for the slogan painted on the van is “Vedette deserves your confidence”, which was the company’s motto for many years. 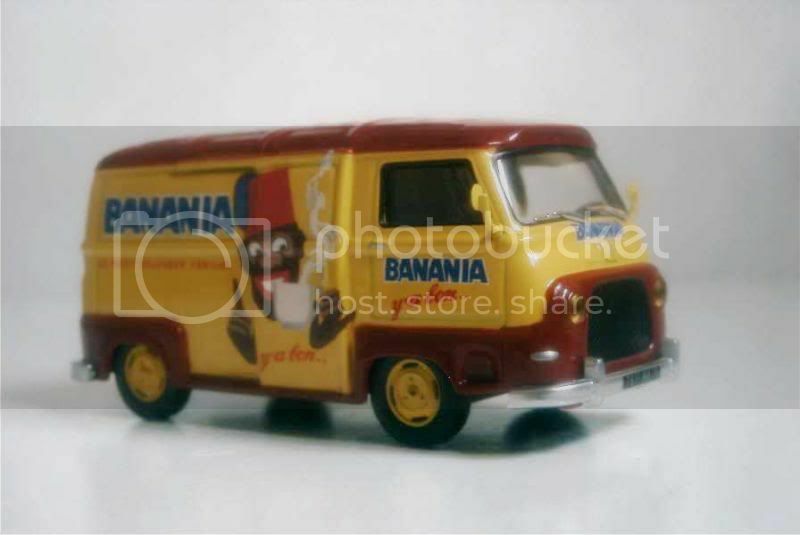 This time, I’d give 11/20 to this model.